Security tokens may be the compromise between the government’s woes and cryptocurrencies. Security token offerings, STOs, are financial securities because they mimic traditional shares. These types of tokens give investors some rights to the company. STOs are projected to have a market cap of $10 trillion by 2020. 2018 is poised to be the year of the STO; you can find another article I’ve written about this topic here. Threatened by SEC regulations, U.S. businesses are looking for a regulator-approved alternative to generate capital from crowdfunding. The SEC, formed in response to the 1929 stock market crashes, is now scrambling to regulate the usage of digital currency. 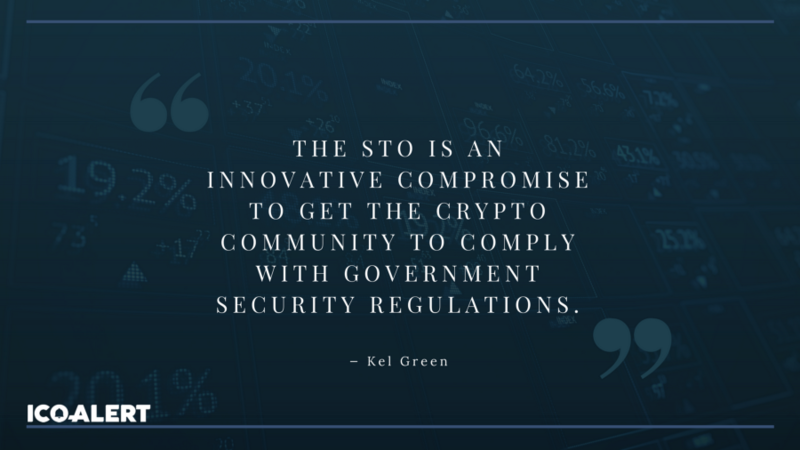 The STO is an innovative compromise to get the crypto community to comply with government security regulations. Unlike Polymath, led by Trevor Koverko, BnkToTheFuture has been an up and running exchange trading since 2015. 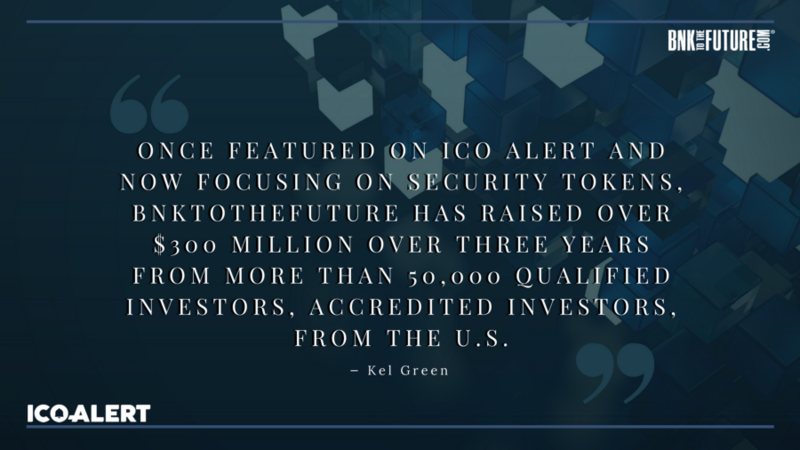 Once featured on ICO Alert and now focusing on Security Tokens, BnkToTheFuture has raised over $300 million over three years from more than 50,000 qualified investors, accredited investors, from the U.S. Accredited investors must demonstrate an annual income of $200,000 and are required to invest between $1,000-$10,000. BnkToTheFuture has invested in notable blockchain organizations including BitFinex, BitStamp, Kraken, ShapeShift, BitPay and over 100 others. This year, they are launching an SEC-compliant blockchain exchange for security tokens. In the first month of 2018, BnkToTheFuture (BFT) began a Pre-ICO and raised $30 million within 15 hours. The STO exchange issued BFT tokens in February 2018. These tokens are intended to reward and pay those that provide due diligence services delivered on the platform. Funds created from ICO will back technology advancement in the decentralized security exchange. By the end of February, the sale closed at $33 million from their ICO. With no timeline in sight for the launch and development of Polymath, BnkToFuture is the security exchange banking on being the catalyst for STO market growth. Being in the crypto game for over three years makes BnkToTheFuture a relatively trusted player in the STO exchange market.